Thank you to the food vendors who served up a delicious 2018 festival! British Indian Curry is Barry Hodge’s passion. 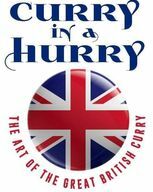 He's been eating it since he was five and making it since he was fifteen, and now shares the delights of British Indian Curry with the good people of Richmond. Over the past 60 years, it has become the #1 take-away food in England and is now regarded as the “national dish”. What makes this style of curry any different from any other curry? It’s hard to say, but much has to do with the fresh ingredients, the exotic spices, the aromatic flavors and of course (if desired), the mouth tingling taste! 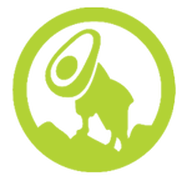 Goatocado is a conscious kitchen. They consider it their challenge to source, prepare, and serve food with purpose. As a conscious kitchen, they think beyond the food. They’re conscious of their environmental impact and strive to make daily decisions that contribute to the overall well being of the community. Find the Goatocado truck in the Food Court section of the Festival. Jus Cukn' excels at serving award-winning hickory- and pecan-smoked BBQ treats such as (but not limited to) pulled pork, jumbo whole wings, beef brisket, and baby-back ribs. Everything is smoked and dry-rubbed, so you can pick from our delicious homemade BBQ sauces (Sweet VA or Carolina) to have over your meal paired with a variety of sides. 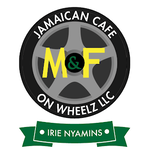 M&F Jamaican Cafe On Wheelz cooks and serves delicious Jamaican dishes. The food is so delicious that they maintain a 5-star review on Yelp, Google, and across social media platforms. Come and treat your taste buds to authentic Jamaican dishes! The Neighborhood Scoop is a new social enterprise on a mission to provide the joy of ice cream and the connection of community to all. We hire local youth in need of opportunity, sponsor several public school activities, and host events that create community in the East End of Richmond. We will have some Gelati Celesti hard scoop, iconic soft serve, and our popular homemade ice cream sandwiches for you to enjoy at the festival. If you're hungry for a freshly made biscuit, want a sandwich on your lunch break, or simply need to grab dinner to take home to your family, Root Stock is here to satisfy all your cravings. Their chefs use only fresh, locally sourced ingredients in their dishes and are continuously coming up with new and exciting seasonal menu items. 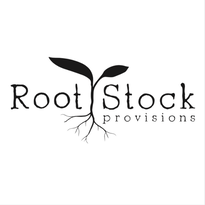 At the Festival, Root Stock will be selling a variety of tasty fall treats and drinks! Two and a Half Irish-Men bring a little taste of Eireann to Richmond! 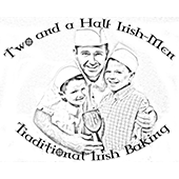 They use the best local ingredients in traditional Irish baking recipes still used everyday throughout Ireland. Stop by for a tasty treat!